Where does height get lost in the spine? Science is change; it either culminates over long arduous experiments or comes as an inferno that changes everything before it to rise as a phoenix new. With the new knowledge, theories get adapted, revised and abandoned. Any introduction of medicine into the health system is studied and tested extensively. National drug administration organizations have to approve and sanction the distribution of therapy. The regulations are especially rigorous when dealing with childhood treatment. Despite the restrictions, there are many approved treatments that remain controversial with the emergence of new research indicating new side effects. Growth hormones occur naturally in the body and hold the answer to normal growth development. More than 50 years ago, scientists alienated and were able to derive the hormone from cadaver pituitary glands. From then began usage of growth hormones as a medicine to stimulate growth. From the beginning, there human growth hormone therapy was fraught with complication. Cadavers were in short supply, and taking such a potent drug from a potentially compromised dead body was dangerous. In fact, it was later discovered that Creutzfeldt-Jacob disease (CJD) of the brain was transmitted through the hormone to infect the patient. In the years since, synthetic drug development has advanced to allow pharmaceutical companies to produce the hormone safely in a lab environment. With a potential endless supply of the growth hormone, national drug companies faced a new ethical dilemma. Who should have access to the growth stimulating treatment? Children whose short height is a symptom of a greater health concern (Turner syndrome, renal failure and growth hormone deficiency) are easier to diagnose and treat. Those children, whom short stature appears without any other medical risks pose a greater ethical dilemma. The medical community can shape a society’s definition of normal. Treating shortness effectively institutionalizes the belief that there is something medically wrong with being short. Still, today the FDA has approved the use of hormone therapy for children who have normal human growth levels but remain 2.25 standard deviations before average height. This translates to an adult height below 5 feet 3 inches for males and 4 feet 11 inches for females. It is easy to fall prey to the idea that a doctor is infallible. Yet, the truth is that many treatment therapies are experimental with a risk of failure. Parents must choose very carefully when agreeing to human growth treatments for their children. Long-term side effects are becoming clearer to us and there appears to be a correlation between HGH and cancer. Simply put, the HGH increases a growth factor (IGF-I) in the blood stream which goes on to stimulate cell growth. This growth can turn cancerous in sites around the body including the colon, breast and prostrate. Science has come to the conclusion that taller people generally have higher rates of cancer, then their shorter counterparts. Yet, the introduction of artificial growth hormones into a child creates hormone levels higher than they normally would have naturally. The treated child is monitored and side effects of headaches, joint pain, leanness, and increased blood glucose have been documented. In some cases the HGH affects the bone growth negatively causing a curvature of the spine. In relation to emotional distress, treated children have reported adverse social functioning levels. While these results are not widespread, they are reason to pause and re-evaluate human growth therapy in children. Hundreds of thousands of children undergo this treatment in North America, so the potential risk of damage is significant. Further, evidence of tainted hormone therapies sold over the Internet is rampant. 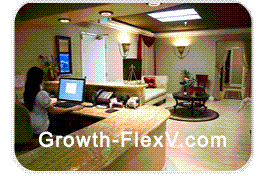 If human growth therapy is needed, it should only be prescribed and evaluated under the care of a trusted doctor. Many online companies fail safety regulations and are selling a dangerous mix of toxins under the guise of height enhancement. Always research products thoroughly before deciding upon treatment, especially when the patient is a child. A Wessex study concludes that shorter stature children are more likely to be victim to bullying. Bullying is no longer thought of as fringe events that occur with moderate results. Canadian statistics show that 1 in 3 students have experienced a form of bullying. News reports and in depth investigations have uncovered that bullying can be the norm with devastating effects. The age of youth is full of trepidation, uneasiness and changes. Bullying interferes with normal social growth, increasing the rate of suicidal thoughts in teens. Recent childhood suicides have highlighted the widespread bullying epidemic across North America. To understand how height is a factor in bullying, one must first understand the concept. Bullying is a form of control that one individual asserts over another without their consent. Bullying is not limited to location, age and demographics. Yet, certain segments of the population are more vulnerable to a bully’s assault. That is not because they are prone to be victims. Instead, is it is often because they have a normally visible neutral attribute that a bully is able to take advantage of. An attribute like economic status, visible through a child’s lack of funds, worn clothing, or material goods will signal a potential usable trait. A bully will taunt against this characteristic to rouse others in a campaign to establish a power hierarchy. The root of bullying is much debated with research into cultural, social, economic and institutional causes of bullying. Every bully is different: some bullies have a history of childhood trauma while others come from supporting homes. The bully is not defined by any demographic and can be present in any form. Yet, what makes childhood bullying more severe is the inability for children to have the confidence to seek out support resources. The educational space of school is fraught with hormones, changing dynamics and concerns for children to have a stable position in the social ladder rung. The teenage brain is coping with many emotional and bodily changes. Research has showed that individual’s who experience social rejection turn around and try to pass it on to others. This might be possibly done to eradicate their earlier experience of uncertainty and embarrassment. Anything can be used for a bully to position themselves higher over others. Height is merely a convenient, often immutable, fact that is easy to use. A shorter child is characterized as ‘other’ from their peers as way to enforce social isolation. This makes the bully feel justified that they are teasing for legitimate reasons of difference. In the Petri dish of school, height becomes hyper-emphasized despite the normality of it in the real world. Further bullying often goes unreported, so support systems need to be put in place to encourage children to come forward with their situation. Bullying is a preventable cause of oppression, violence and suicide. Necessary social skills need to be taught that allow children to resolve conflict safely. Research has further indicated that short stature (SS) can be associated with problems of psychological adjustment. A child often looks at their lack of height as a disadvantage leading to issues of low self-esteem. Height is simply one attribute that a bully is able to take advantage of to use as verbal abuse. The increased public awareness of bullying has allowed the beginnings of social change aimed at supporting the vulnerable age of adolescence.